When a college student at Florida State University in Tallahassee, FL, is charged with a crime, the stakes are high. Not only will the student face the criminal charges in court, but the university may also initiate a disciplinary action against the student. The criminal case and the disciplinary action can have a long-lasting consequence on the student’s future educational opportunities. The result of a disciplinary action against a student at Florida State University (FSU) is expulsion, suspension, or probation. The violation might also lead to a termination of a housing contract or failure of an academic course. Any action taken by Florida State University can be very expensive for the student and their parents. Many of these allegations are investigated by officers with the Florida State University Police Department (FSUPD). We are familiar with the standard operating procedures that these officers must follow. We can help the student invoke their right to remain silent and the right to have an attorney represent them at every stage of the case, including in the courtroom and at the disciplinary hearing. Call (850) 681-7777 to talk to the attorney at the Pumphrey Law. With more than sixty-seven (67) sworn law enforcement officers, the Florida State University Police Department (FSUPD) takes a proactive approach to law enforcement to protect students, staff, and visitors at the campus in Tallahassee and Panama City. As the third-largest law enforcement agency in Leon County, the FSUPD provides 24-hour protection for more than 40,000 students, faculty, and staff across the 450-acre Tallahassee campus. Its jurisdiction also includes facilities of the university in outlying areas, such as properties within Innovation Park and the Capital District. The code appears in State of Florida Administrative Code FSU-ER15-3. The code outlines the rights, offenses, procedures and policies that are upheld by FSU’s Office of Student Rights and Responsibilities. The code was last updated in June of 2016. Read a news article from the Tallahassee Democrat about Florida State University’s system for determining whether a student has violated its code of conduct which is very different from what defendants in criminal cases encounter in the courtroom. The article explains why the standard of proof is lower and why the accused doesn’t always get to face the accuser during cross-examination. If you or your child is a student at Florida State University (FSU) in Tallahassee facing a criminal charge or violation of the student conduct code and disciplinary hearing, then contact an experienced criminal defense attorney at the Pumphrey Law. At student conduct code violation hearings, FSU students found responsible for the violation can face punishments including reprimand and community-service hours and, in more serious cases, removal from student housing, suspension, and expulsion. The punishments at the disciplinary hearing can occur even before the student enters the courtroom to face the criminal charges. Students need an attorney that can protect them at every stage of the case. 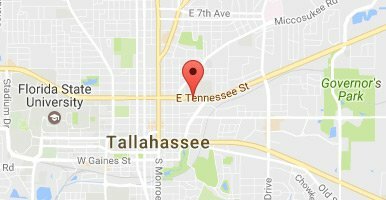 With offices conveniently located in Tallahassee in Leon County, call us to schedule a free and confidential consultation to discuss your case. Let us put our experience to work for you. This article was last updated on Friday, March 17, 2017.